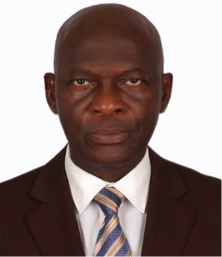 Dr. Christian E Imoka is a renowned industrialist with major interests in the Healthcare and Power sector. Since the inception of Chris Ejik Group in 1987, Dr. Imoka has forged the strategic and operational direction of the company which has grown from a 1-man business to an efficient staff strength of close to 200. His achievements have not gone unnoticed, and was awarded an honorary doctorate from Madonna University for advancement in commerce and industry. In line with progression and success of business ventures, Dr. Imoka is an active philanthropist who charitably contributes to institutions focused on capacity building in students in various field of study. 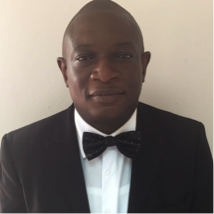 Mr. Oyeniyi is the head Finance and Accounts Department. 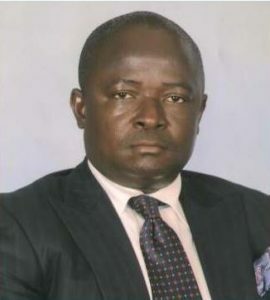 He holds a Higher National Diploma in Accountancy from the Polytechnic of Ibadan and a Masters degree in Business Administration from University of Ado Ekiti. He is an associate member of the Institute of Chartered Accountants of Nigeria (ICAN) and Chartered Institute of Taxation of Nigeria (CITN). He brings over 20 years of experience in a consulting capacity with various firms and has been with Chris Ejik group since 2008. 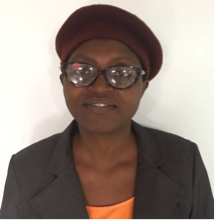 Mrs. Omisore is a chartered Chemist and a member of the Institute of Public Analyst of Nigeria. 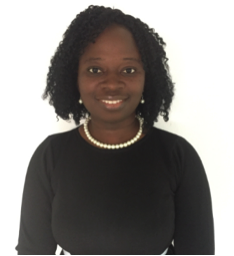 She holds a Bachelor of Science degree in Chemistry from Ondo State University, Ado-Ekiti (now University of Ado–Ekiti) and a Master’s degree from Olabisi Onabanjo University Ago-iwoye in Analytical Chemistry. 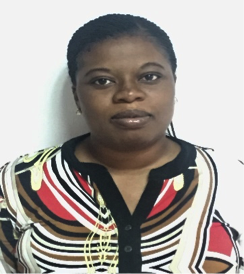 Mrs. Omisore’s experiences covering over thirteen years as a Chemical Analyst and as Quality Control Manager she has been instrumental in the advancement of Chris-Ejik’s approach in ensuring that our standards meet and exceed the requirements of external quality standards. Mr. Faderin Adesola is a member of the Association of Chartered Certified Accountants (ACCA) as well as a member of the Institute of Chartered Economists of Nigeria (ICEN). Prior to joining Chris Ejik Group he worked with various companies such as Ceasers Shield Associates, S. Akinyele Oludare & Co before joining Chris Ejik Group of companies. Mr. Suvarna currently oversees the distribution and communication efforts for the healthcare products of Chris Ejik Pharms and Healthcare Limited. He has a Bachelor’s degree in Commerce from Mangalore university and a master’s in Business Administration (MBA) from Bombay University, India. 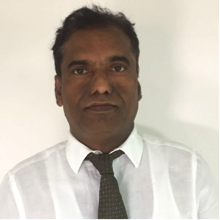 As a seasoned Professional in the sales and distribution of healthcare products in India and Nigeria, Mr. Suvarna has been instrumental to our success since joining the company in 2012. Pharmacist Emmanuel Ifunayahcukwu holds a B.Pharm. Degree from School of Pharmaceutical Sciences, Medical College, University of Kerela, Trivandrum, India, a member of the Pharmaceutical Society of Nigeria (PSN). He started his successful career as a pharmacist with Enugu State Ministry of Health in 1986 before proceeding to become Pharmacist Grade One with the Lagos State Hospitals Management Board. The years of varied experience in the field has given birth to the dynamic approach to overseeing and directing the affairs of this office. 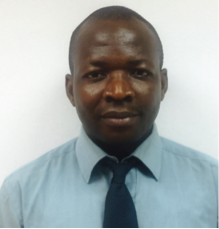 Joining Chris Ejik Group in 2008, Pharmacist Emmanuel is currently the Superintendent Pharmacist. 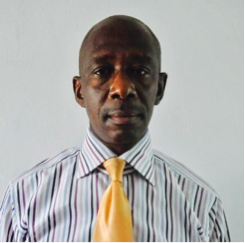 Mr. Ifeanyi Obiorah is the Business Development Manager for Chris-Ejik International Agencies Limited. He holds a B.Sc. in Finance from Enugu State University of science and technology formerly Anambra State university of science and technology. Mr Ifeanyi Obiorah is a business developer with over 16 years working experience in business and marketing both in Nigeria and across Africa. Pharmacist Joy Adeshina, is the Production Pharmacist of Chris-Ejik Pharmaceuticals and Healthcare Products Ltd. She obtained her first degree in Pharmacy (Pharm D.) from the University of Benin. Pharmacist joy has over six years work experience working at the University of Benin Teaching Hospital and as a Production Pharmacist at the Beta-Lactam Section of Nostrum Ltd. Nigeria. She has obtained several Certificates of Participation after attending trainings organized by the National Agency for Food and Drugs Administration and Control (NAFDAC) and Pharmaceutical Manufacturers Group of Manufacturers Association of Nigeria.